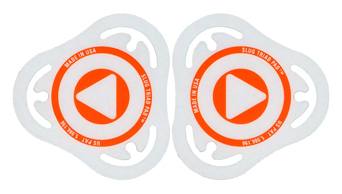 The Triad Pad™ improves bass drumhead durability, along with focusing beater attack and punch. Compact and lightweight, the patented Armourphragm™ triangular vented design flexes with the drumhead and does not produce any distorted sounds, preserving the drumhead's tone. Made of thin guage .010" clear polycarbonate film with high strength adhesive backing and mounts permanently on coated or uncoated drumheads. 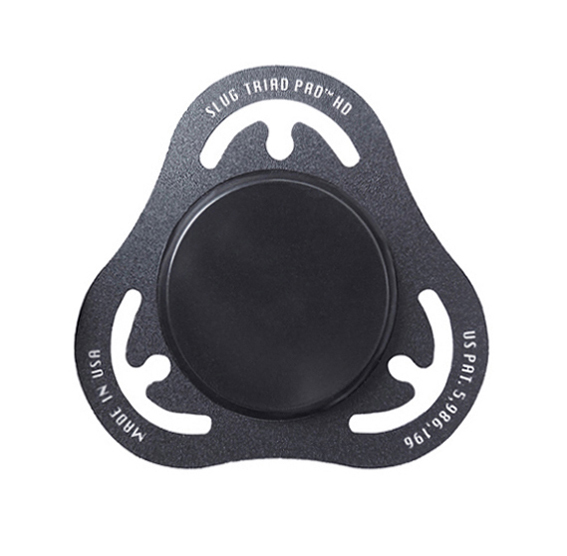 The Triad Pad is ideal for traditional play styles and studio recording applications. Recommended for use with felt, wool, plastic and rubber beaters (not recommended for wood beaters, use the BB-TPHD model for heavier play). Exciting Blaze-Orange graphic design really stands out! Also can be used as a pair with double pedal set-ups. The Triad Pad HD is for Heavy Duty kick drum play, providing maximum protection from beater damage and increasing beater punch for ultimate 'Sonic Thud'. 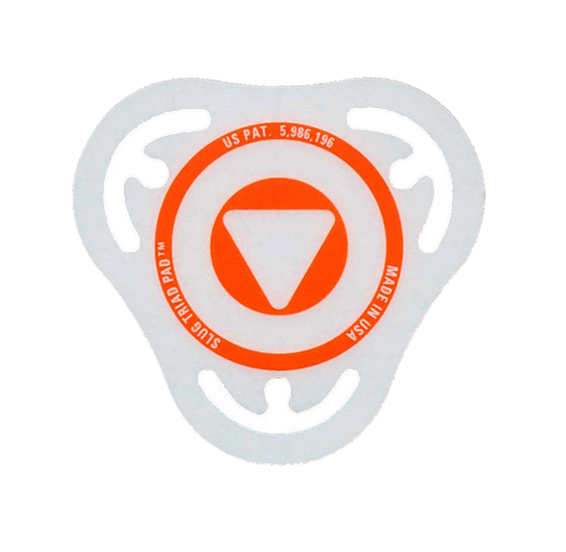 The patented design of this model Batter Badge® features a virtually indestructible Poly-Gel Duro-Disk™ mounted on a triangular shaped, vented .01" polycarbonate film badge. The 1/8" thick Duro-Disk is ideal for hard plastic and wood beater pedal play. The Triad Pad design allows for either single pedal use or as a pair for double pedal set-ups. Also try the other Bass, Snare and Tom Badge models!